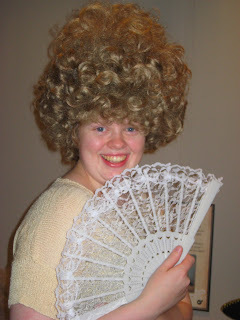 My daughter Tisha in an outrageous wig! While I was staying with relatives in the Scottish Borders last week, I had the chance to visit an interesting exhibition about Georgian Carlisle at Tullie House in Carlisle which runs until 9 September 2012. 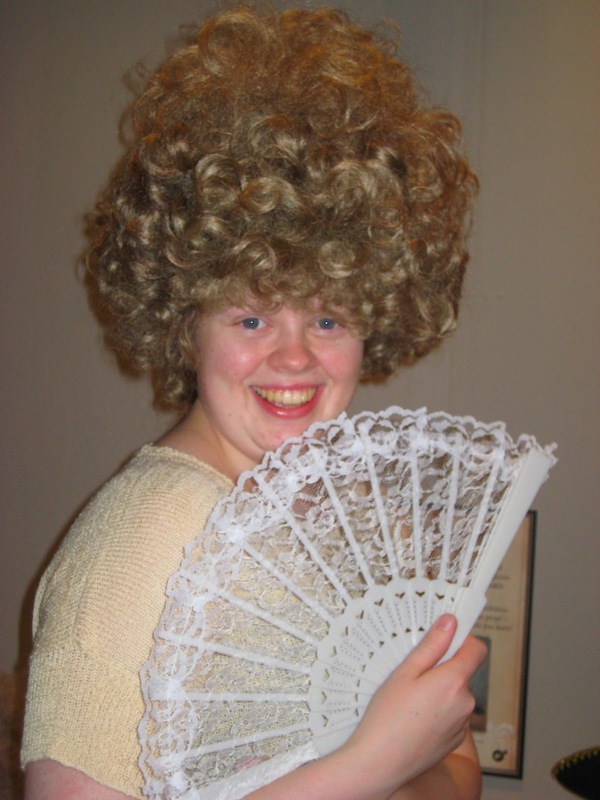 The exhibition starts with a dressing up area which includes wigs, hats and fans – a great way to get into the Georgian spirit! 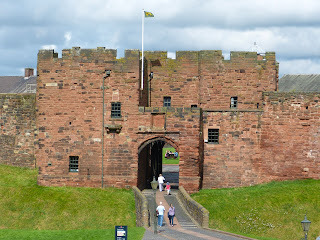 The displays trace the development of Carlisle during the reigns of the Georgians, and include many original artefacts, such as coins, portraits and a lovely selection of Georgian costumes, as well as a model of Georgian Carlisle. It highlights the development of the textile industry and tells of famous Cumbrians such as the physician and naturalist Dr John Heysham, the Carlisle miser, Margery Jackson, and the poet Robert Anderson. As I had two small children in tow, I was pleased to find the exhibition child-friendly. There was a play area with a tea set which my granddaughter loved; she may not have understood the importance of tea drinking in Georgian times, but she spent enough time playing to enable me to whizz round half the exhibition unaccompanied! In addition, there were materials and a light to enable you to draw each other’s silhouettes, and mock duelling pistols. Normal entry prices to Tullie House apply, which are very reasonable – £5.20 per adult, £3.60 for concessions and only 50p for children. 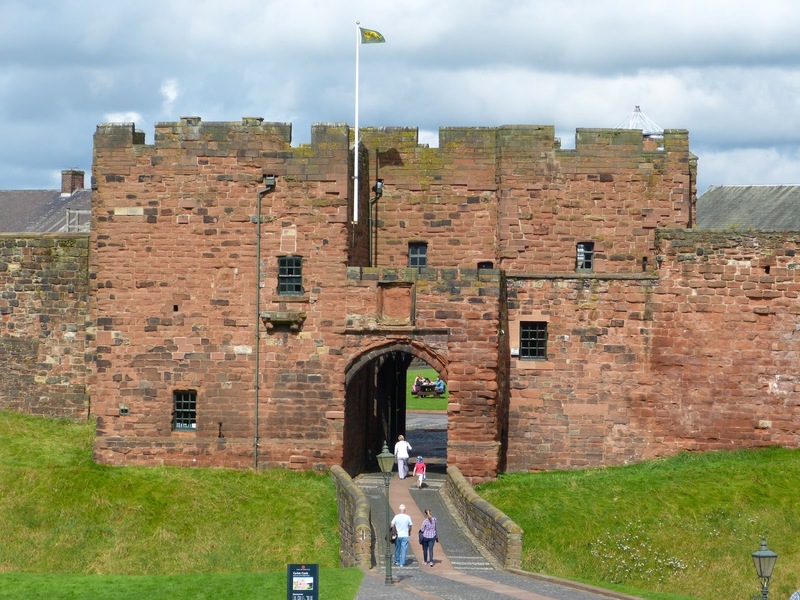 As well as the Georgian exhibition, there are several other galleries to explore, including an open area called the Lookout which overlooks Carlisle Castle and an interactive Roman zone. This is very child-friendly, with lots of dressing up and other hands-on activities and children receive a personalised Roman ID card if they complete the four computer-based activities. 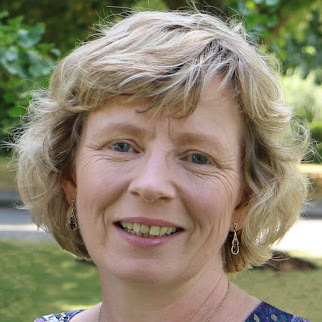 There is a lunchtime lecture on 4 September by Melanie Gardner, Curator of Art at Tullie House, called “Georgian fashion: a style revolution”, which examines the changes in fashion over the Georgian period. 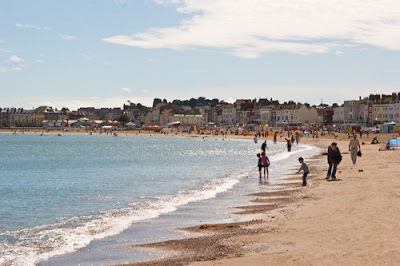 Weymouth was historically two towns, one on each side of the harbour, which was protected by the Nothe headland. Melcombe Regis lay to the north, between the sea and the backwater, and Weymouth to the south, and they were connected by a bridge. In 1770, a new seven-arched wooden bridge was built, with a drawbridge in the middle to let tall boats through. 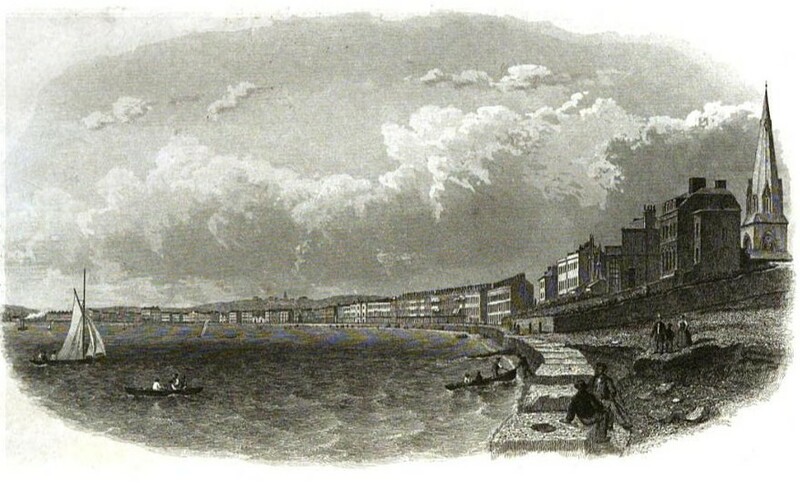 After the Civil War, Weymouth lost much of its trade to Poole and its importance as a port declined. But in the 18th century a new trade grew up – tourism. Repeated outbreaks of plague had made the wealthy very health conscious giving rise to the growth of spa towns such as Bath and Harrogate. 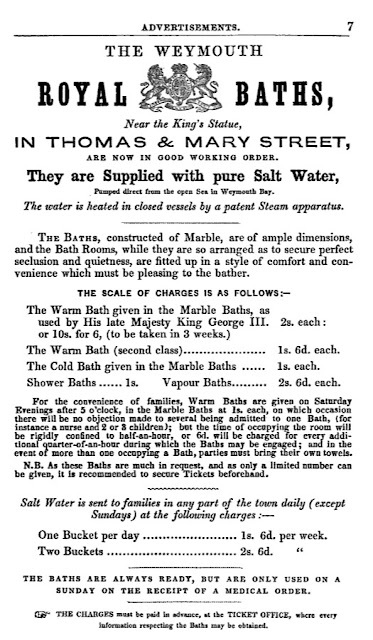 Then a more revolutionary cure developed: sea bathing. 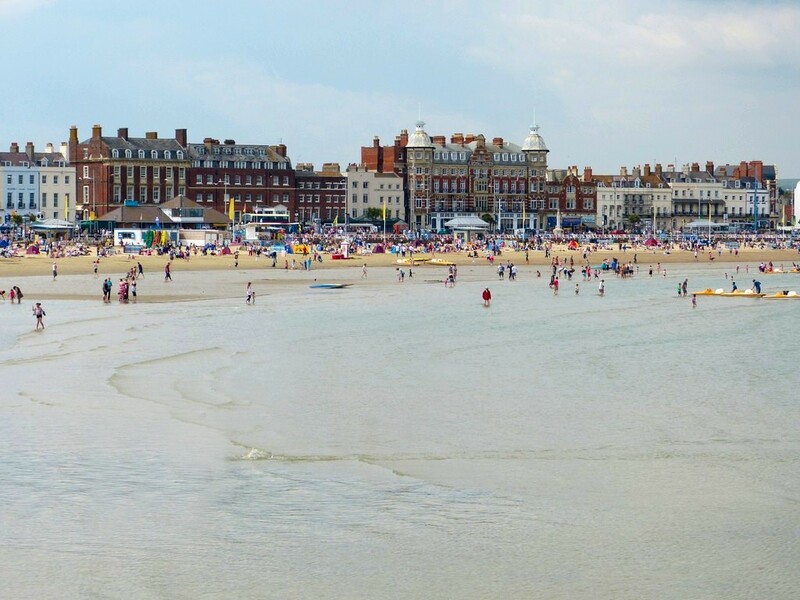 Weymouth, with its sheltered bay and golden sands, was ideally suited and entrepreneurs eagerly sought to capitalise on this. During the second half of the 18th century, the transport system in England was revolutionised by the introduction of turnpike roads – roads which were funded by the collection of tolls. 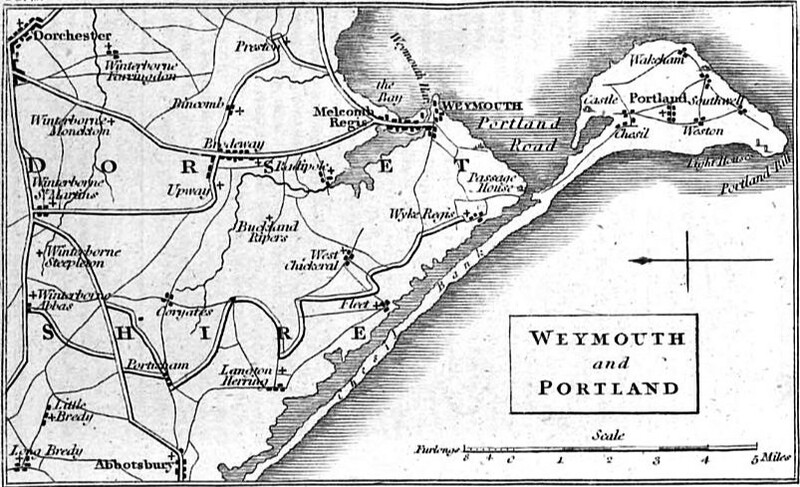 In 1771, an Act was passed to create a turnpike road from Dorchester to Weymouth, much improving access to the town. 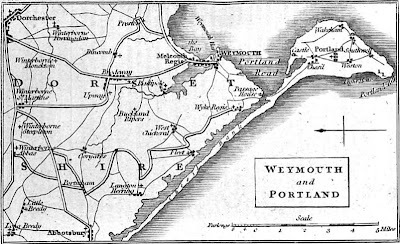 Weymouth could be approached by travelling down the turnpike road from Dorchester and then descending the hill through the village of Upwey. The road, called the Narrows, then passed along the seafront with the backwater on the other side, separated from the Esplanade by a chain and post fence. On 30 September 1748, Prowse and Bennet were granted twenty-one year leases so that they could build two wooden bathing houses on the north, Melcombe Regis, side of the harbour, to exploit the new fashion for sea bathing. 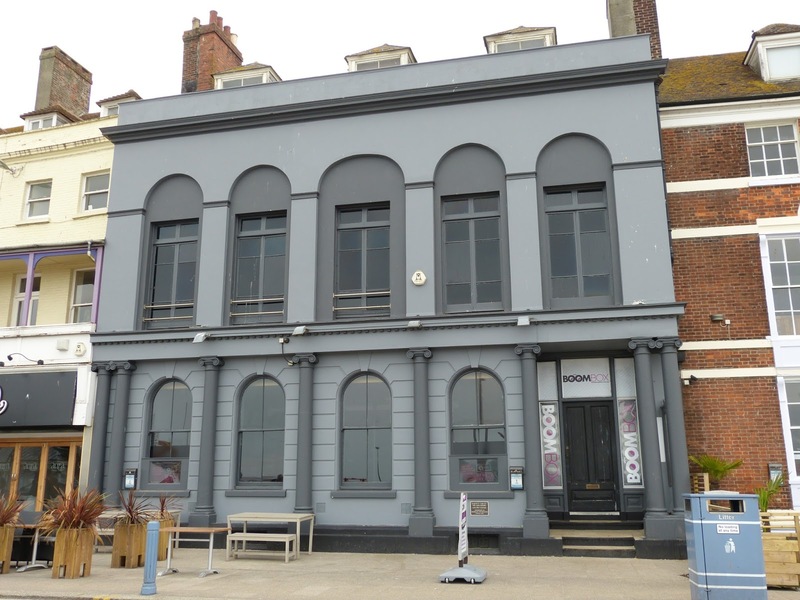 Another entrepreneur, Andrew Sproule, took a lease on land north of Melcombe Regis on which he built a hotel and assembly rooms. Stacie’s Hotel, named for its proprietor, opened for its first season in 1773 and all the apartments were fully booked. 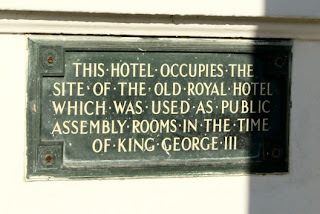 It later became the Royal Hotel. The governing Corporation was keen to develop the town and attract more visitors. In 1776, an Act of Parliament was passed which allowed them to raise money for town improvements by levying a tax on owners and shopkeepers. The money raised was spent on making Weymouth a safer, cleaner, more attractive place to visit. As a result of the Act, the main streets were paved and drained and lit by street lamps. Watchmen were appointed to patrol the streets to maintain the peace and help visitors and inhabitants alike feel safe. Vandalism was guarded against by threatening fines of up to 40 shillings for the wilful destruction of the new lamps. Riding or driving horses or cattle on the footpaths was also prohibited. The Act attempted to combat the very real danger of fire that existed because of the number of dwellings in close proximity to each other by forbidding the use of thatch. All new buildings had to use tile, slate or lead and existing thatch had to be replaced by the beginning of 1794. In 1792, the Corporation established a fire service of twelve men to operate the two fire engines from March to September. Each man was to be paid six pence. In 1797, a private company was set up to pipe water throughout Melcombe ensuring a good water supply to combat fire. Traffic flow was also tackled by the 1776 Act. Carts were frequently held up because their way was obstructed by another vehicle blocking the road, often resulting in unpleasant shouting matches or fighting. The Act introduced a fine of five shillings on any wagon, cart, dray or carriage left standing in the road longer than necessary for loading and unloading. 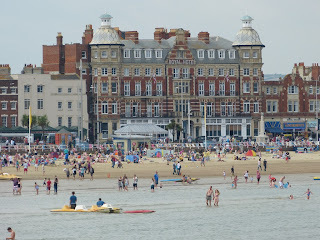 By the 1770s, Weymouth’s summer season was well-established. Guidebooks were issued promoting the town for health and leisure. 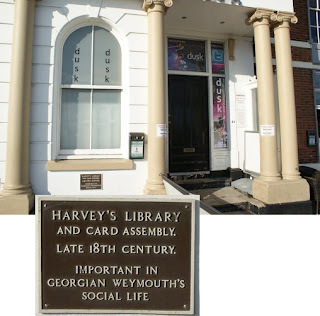 The post-mistress, Mrs Delamotte, first issued her Weymouth Guide in 1782, followed by Harvey’s Improved Guide in 1800. They described the fashionable entertainments available as well as the accommodation on offer. 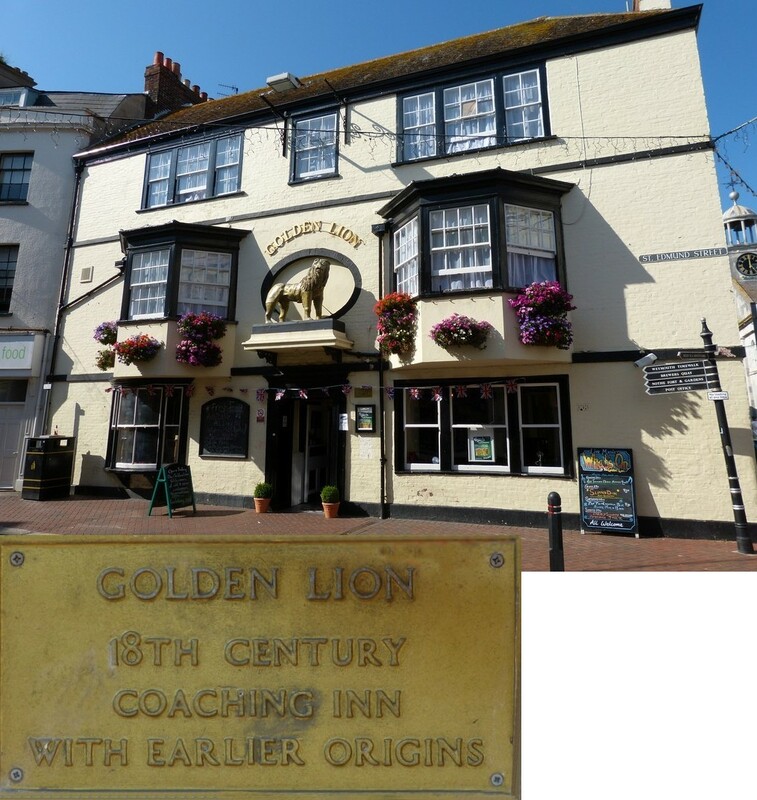 This included hotels such as the Crown Inn in St Thomas Street, the King’s Head in Maiden Street and the Golden Lion in St Mary’s Street. It also included lodging houses which were expensive, but single gentlemen could be accommodated on moderate terms all year round. On 18 September 1750, Ralph Allen purchased a property on the Weymouth side of the harbour. He had been advised to try sea bathing for his health and Weymouth was his resort of choice. Allen had made his fortune reforming the British postal system and had then acquired quarries in Bath which provided the stone for the building of Georgian Bath. He visited Weymouth regularly from 1750 until his death in 1764. He was a man of great wealth and influence and many important people visited him there, including the Duke of York in 1758. 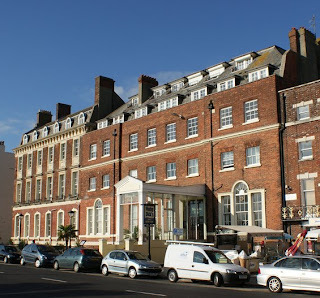 After the Duke of York came the Duke of Gloucester who commissioned his own house in Weymouth in 1780, Gloucester House. It was this house that he lent to his brother, George III, when he needed to recuperate from a severe bout of incapacity in 1789. 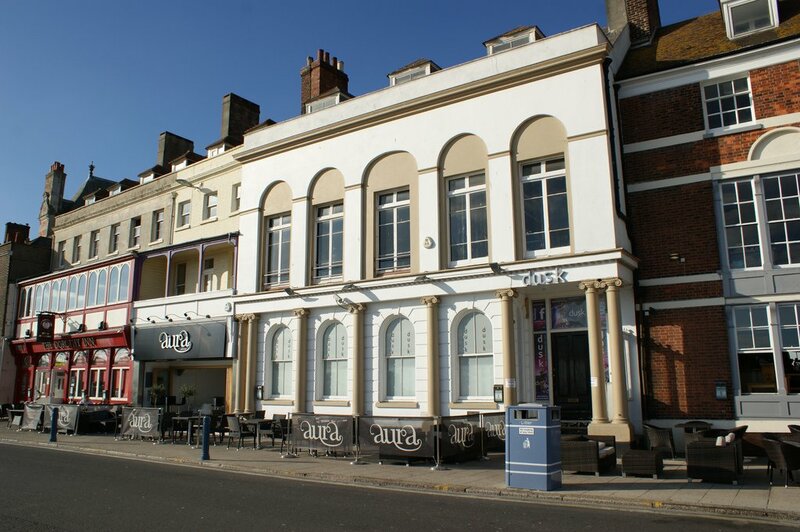 Thus Royal Weymouth was born. George fell in love with the town and visited repeatedly until 1805. Visitors started flocking to Weymouth in the second half of the 18th century when the seaside came into fashion. The sheltered bay offered safe sea bathing and attracted Royal visitors – first the Duke of Gloucester and then his brother George III. The town grew to accommodate the needs of the wealthy tourists and was able to offer fashionable entertainments including assembly rooms, libraries and a theatre. 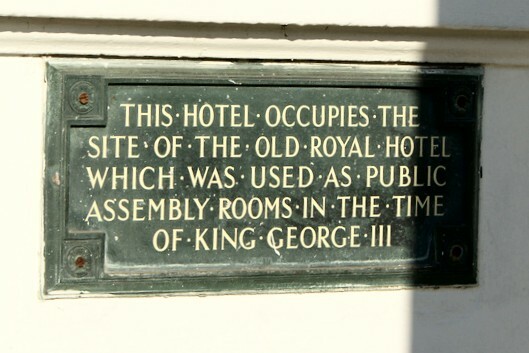 The Assembly Rooms were housed in Stacie’s Hotel, which was later known as the Royal. It was an imposing building with double bow windows facing the sea, in the centre of Gloucester Row, close to Gloucester Lodge. The main room could hold 100 couples for dancing and there were rooms available for card playing and tea drinking. 2. That the ball shall begin as soon as possible after seven o’clock, and finish precisely at eleven. 3. That Ladies and Gentlemen who dance down a country dance, shall not quit their place till the dance is finished, unless they do not mean to dance any more that night. 4. That no Lady or Gentleman can be permitted to dance in coloured gloves. 5. 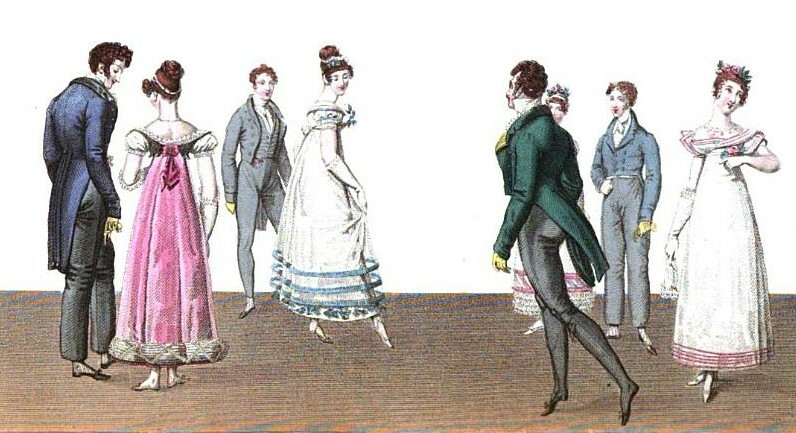 That after a Lady has called a dance, and danced it down, her place in the next dance is at the bottom. 6. That no tea-table be carried into the card-room. 7. That Gentlemen will be pleased to leave their swords at the door. 8. That no dogs be admitted. 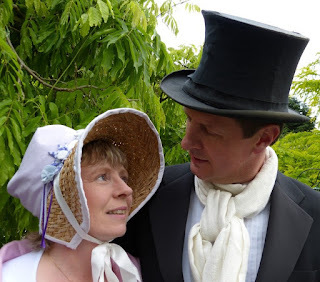 How much did it cost to attend balls in Regency Weymouth? In 1815, a single ticket during three seasons cost a guinea (£1 1s or 21s) and a three person ticket cost £2 2s. This is rather more than the 14 shillings per person that it cost for a ticket to a season of balls at the Bath Assembly Rooms in the same year, but it did include two balls a week rather than one, the balls may have run all year and there is no mention of an extra charge for tea which effectively doubled the price of a ball in Bath. A guinea equates to approximately £60.70 in 2010 using the Retail Price Index (RPI) or £705 if adjusted for average earnings. This suggests that the balls at the Assembly Rooms were only for the wealthy. 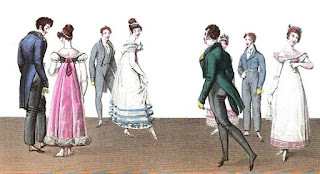 For more information on this, please look at my article: How much did a ticket to a Regency ball really cost? Gentlemen and ladies could alternatively pay just to walk the rooms at a cost of 10s 6d and 5s respectively. This compares favourably with Bath for gentlemen who would have had to pay twice as much for a subscription to the card and reading rooms in the Assembly Rooms; the cost for ladies is identical to that in Bath. Harvey’s library was on the centre of the Esplanade and boasted a collection of over 8,000 volumes as well as a large and comfortable room for examining newspapers and periodicals. There was an elegantly-furnished card room over the library. 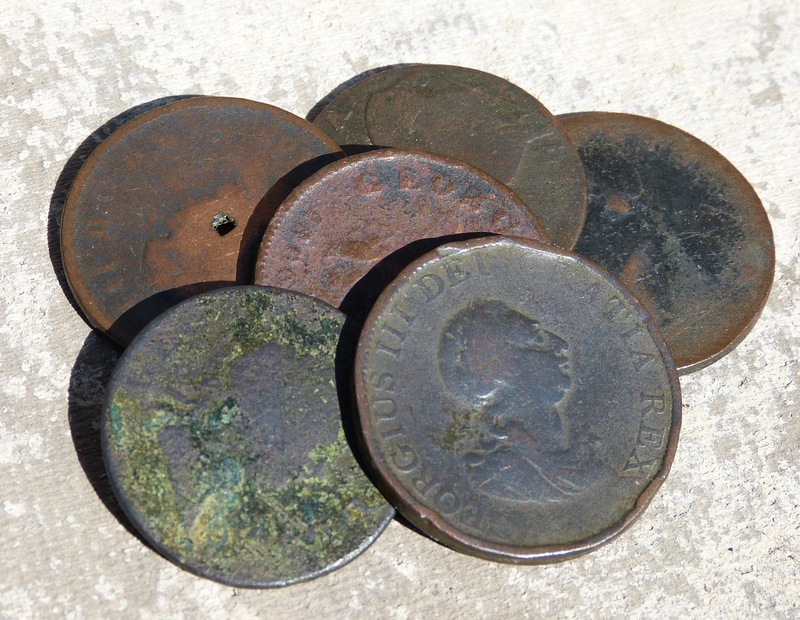 The subscription rate in 1815 was 10s 6d per quarter, equivalent to £30.30 using the RPI or £352 using average earnings. 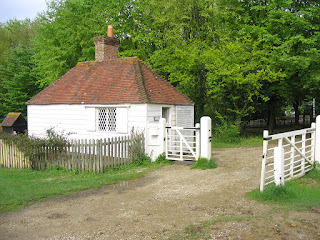 The Post Office was based here, sending out mail to London at 10.30am every day except Saturday and receiving mail from London by 3pm every day except Monday. Wood’s library was also on the Esplanade and could offer for hire a wide range of musical instruments in addition to books. The subscription rate here was 2s 6d per week – equivalent to £7.22 using the RPI or a rather expensive £83.90 using average earnings. 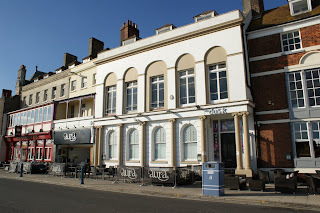 The theatre had been refurbished by James Hamilton and was under the management of Mr Hughes. It seated an audience of up to 400 persons, with performances on Mondays, Thursdays and Saturdays. As an alternative to sea bathing, there was a hot salt water bath in the centre of town, for those who chose not to venture into the sea. In 1815, this would have cost 3s 6d before 6pm and 4s after 6pm. The equivalent costs today would be £10.10 and £11.60 using the RPI or £117 and £134 using average earnings. Sedan chairs were always available to take the clients home after being dipped. 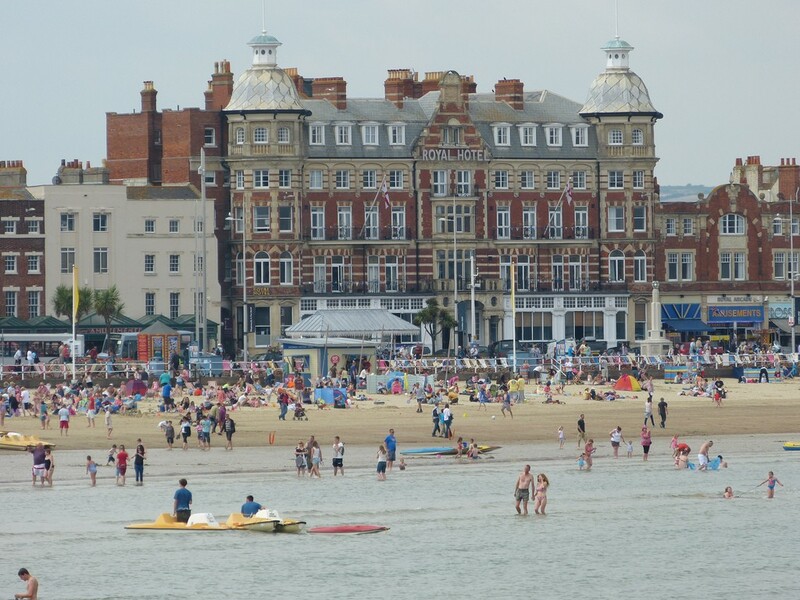 Sea bathing started becoming popular during the second half of the 18th century when two eminent doctors, Dr Russell and Dr Crane, began to recommend it to their wealthy clients as an aid to good health. Dr Russell favoured Brighton which grew rapidly under the patronage of the Prince of Wales. 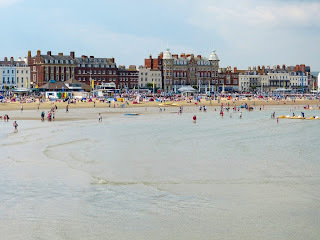 Dr Crane, on the other hand, advocated his home town of Weymouth, where the regular visits of George III secured its place amongst the most popular seaside resorts. By the time of the Regency, the fashionable predilection for the seaside was firmly established. The water of this fine Bay is quite pure, of a beautiful colour, and perfectly clear and transparent. The sands under foot are soft yet firm, and entirely free from obstruction. The declivity is so gradual as to be almost imperceptible – a great security to the weak and fearful. The Bay is so well sheltered by nature, that for tranquillity it surpasses what I have ever seen. Being protected from all winds, the sea is here remarkably tranquil; and hence, at all times of the day, immersion in the briny flood is safe and delightful. Bathing machines provided an easy and discreet way to change and then enter the water. Every day, they lined up on the beach in front of the Esplanade, ready to be hired. A bathing machine was drawn by a horse guided by a man and led into the required depth of water, at which point the horse would be unhitched and taken away. Female bathers wore long shifts called flannels; men wore drawers or bathed naked. Needless to say, the bathing machines of the different sexes were kept at a distance from each other! 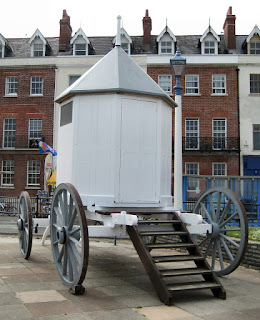 In 1800, it was estimated that there were around 30 bathing machines for hire in Weymouth; by 1815, this estimate had increased to 40. Dr Crane advocated sea bathing in the morning before breakfast and so the machines were busy from about 6am to 12 noon every day in season. Visitors were encouraged to exercise after bathing in order to get warm again. How much did it cost to hire a bathing machine? In 1800, the cost of hiring a bathing machine was 6d plus an extra 6d for the guide, whilst a machine with an umbrella cost a shilling. To put these prices into perspective, it is useful to consider what it would cost today. Using the Retail Price Index, 6d in 1800 would be equivalent to approximately £1.57 in 2010 – a very low cost. However, when this is weighted for average earnings in 1800, it is equivalent to around £24.90, which gives us a better idea of how affordable it would have been. 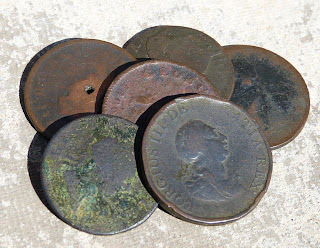 For more information on these calculations, please see my article: How much did a ticket to a Regency ball really cost?